EURUSD is under the influence of retail sales report, weak statistics in the EU and The USA Initial Jobless Claims report. 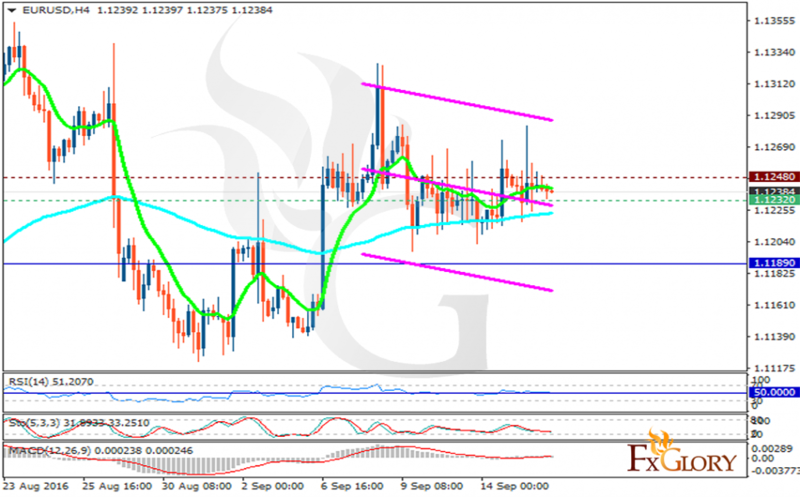 The support rests at 1.12320 with resistance at 1.12480 which both lines are above the monthly pivot point at 1.11890. The EMA of 10 is moving with bearish bias and it is getting close to the EMA of 100. The RSI is moving horizontally in 50 level area, the Stochastic is showing downward momentum and the MACD indicator is in neutral territory. Short positions are recommended targeting 1.1200.